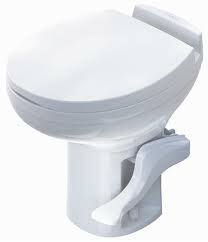 The Thetford Aqua Magic Residence model toilet comes with either a foot pedal flush or hand flush. The flush mechanism is the only difference between those two models. Water valves, seals, etc. are all the same and they are listed below for your convenience.